The BD is effing great. One of the best purchases I've ever made. I'm just back from Part 2 where it was just about 50%. Now Part 3 will be coming later this year but I have to admit that except One Piece and Naruto, I'm not very familiar with the new ones. Was able to take advantage of the holiday and watch some Zeta Gundam. Just started watching Iczer-3 via Iczer-3: Hyper Blowing-up Box (1990) [POLH-2016~21]. 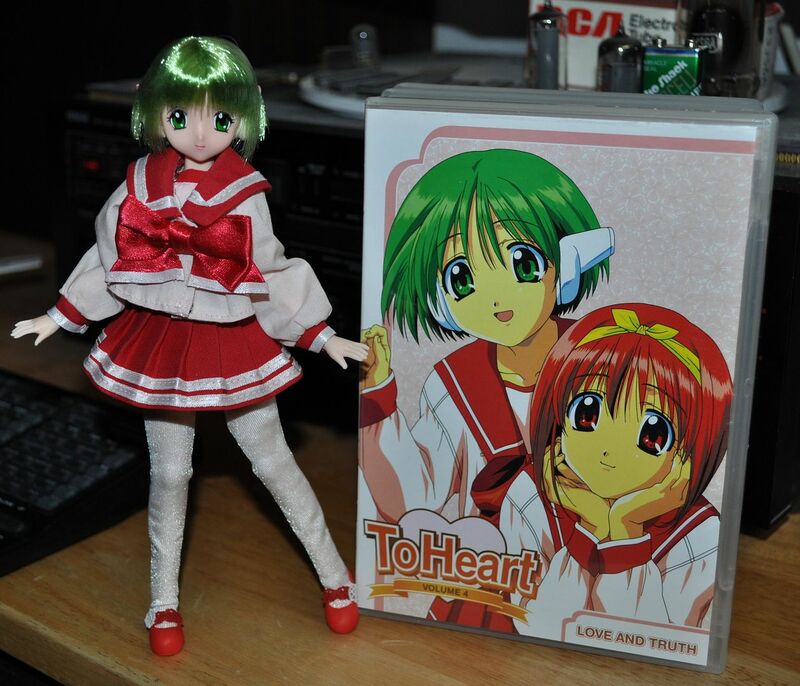 It's a nice box set. great book included with tons of pictures. Seems like it will be a fun show. I haven't been watching a lot of anime on laser disc, although it might change now that I've got a (very) basic knowledge of Japanese that allows me to search for stuff online there. Finished Lupin Part IV a little while back. Last couple episodes were crazy. well... it wasn't bad, per se, but it wasn't great, either. for well over a decade now. Sad, but hardly surprising. On my quest to relearn Japanese and watch all my unsubbed anime LDs I rewatched the Animeigo DVD box sets of Macross TV with subs over the last few weeks. I just finished the last episode of Macross last night and I think by the end of the show I was just enjoying it so damn much I wasn't paying too much attention to vocab. It truly is a classic, classic show. The pacing is just perfect, even the tacked on extra arc is gold to me. Enjoyed it so much. Sure the animation is inconsistent but there is so much gorgeous animation mixed in, and I'd forgotten how much in the last arc, that it does not need reanimating in a "Macross the First" project or whatever imo. Actually the animation style that would show up in Do You Remember Love? begins to present itself in the last few episodes in the way the characters are rendered. Minmay looks more gorgeous than ever in a number of scenes. It's cool too because the characers are supposed to be a couple of years older so it makes sense they look a bit different. I'd forgotten about the quality of some of the animation in later episodes and glad I now fully appreciate it. The recolorisation by Animeigo is irritating to me, I prefer the Japanese LD Memorial Box's original more washed out presentation, the Animeigo seems artificial, well, because it is..however my Japanese isn't at the level yet to just watch and enjoy the LDs so my trusty Animeigo set I've had since the early 'oughts is worthy..
SDF MACROSS was my Gateway Anime, like many/most others, via it's ROBOTECH "localization"
technically, it started when one of my nephews gave me his very poorly finished IMAI/REVELL ROBOTECH DEFENDERS "VEXAR"
came across the ubiquitous FHE dual-episode ROBOTECH VHS vols. of the time, and finally made the connection. i continue down today, picking up the MANGA VIDEO MACROSS II and PLUS "MOVIE" compilations along the way, among others. with OK video quality, and an "English" subtitling job that is nothing short of hilarious. Someday, i really ought to acquire a proper, legitimate SDFM set, but damn of they aren't overpriced, at least to me. 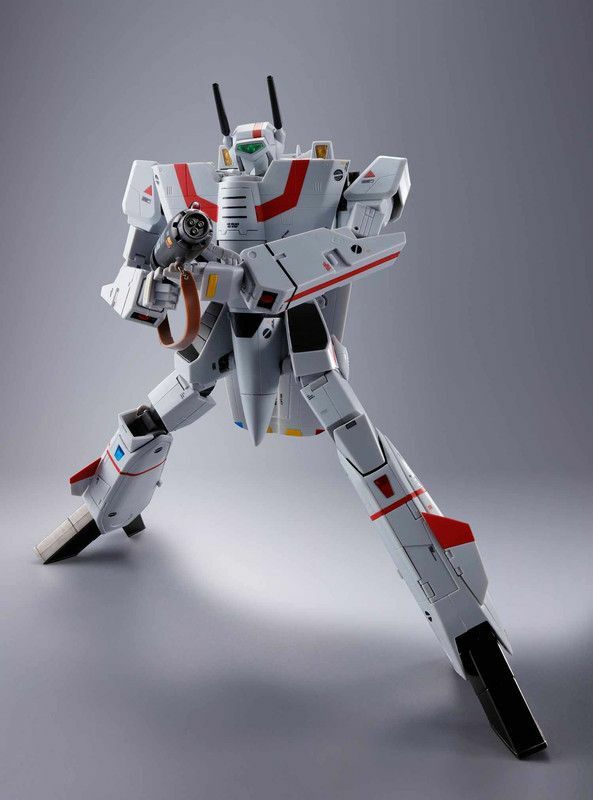 It’s interesting that those same models are what got me into Macross but way earlier, from somewhere between the original Japan airing and Robotech. One my my photo copier created catalogs back then had “Macross coming to a station near you as Robotech! Check local listings.” or something like that. When I eventually did see it I had to go to the dentist so I missed part of Boobytrap Pt:1. 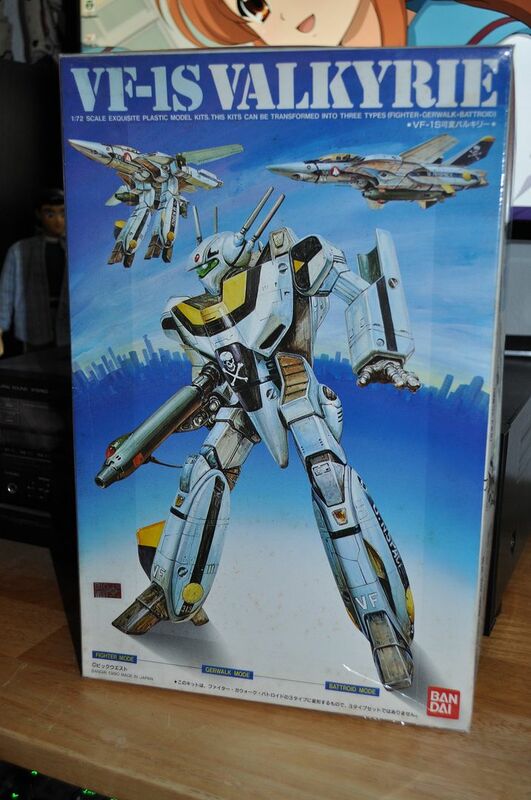 By then Robotech models from Revell already had their own DC comic and made up story so the whole thing was sort of coming at you from multiple directions. 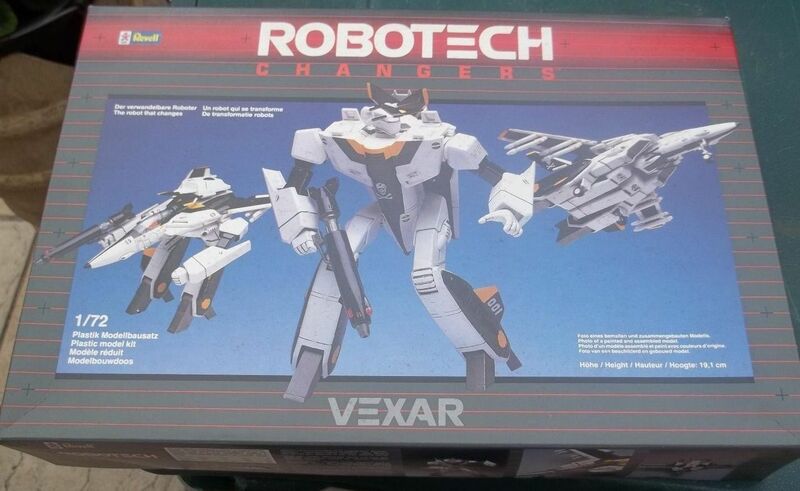 By the time HG’s version of Robotech came out they had given up on models. That was probably just another one of many many dumb HG mistakes, now that I think of it. 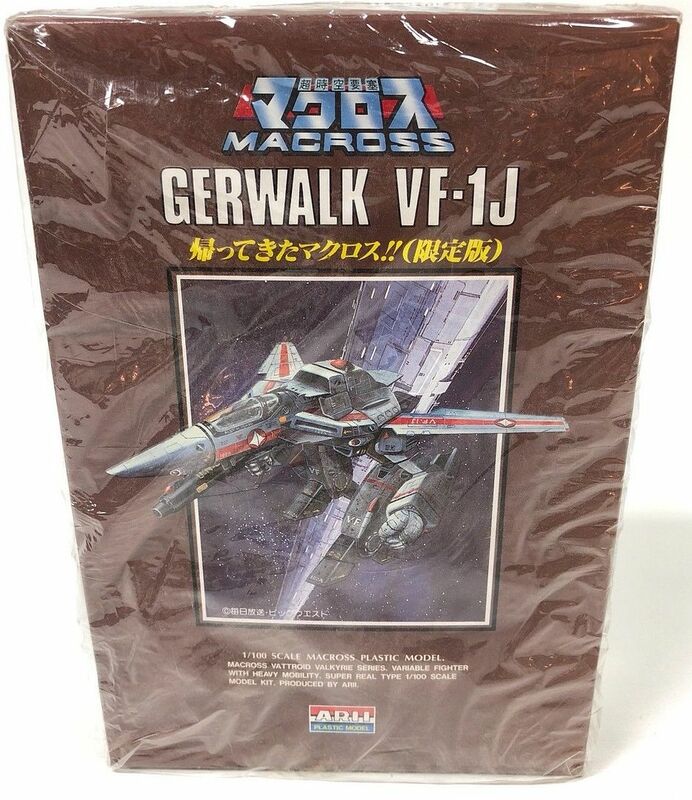 Models were a massive massive chunk of Macross fandom in 80s Japan since the toys were massively more expensive. Instead plastic modeling basically just continued to die off in the US until Bandai made Gundam started to bring it back recently. One of the only good things about Facebook is that it allowed me to find the guy who sold me that stuff back in the day. He’s quite a bit older than me obviously but we get along really well. I guess Yamato/Gundam/Macross sticks with you and ultimately gives you common ground with people all over the place and decades later. Harmony Gold is a mistake. 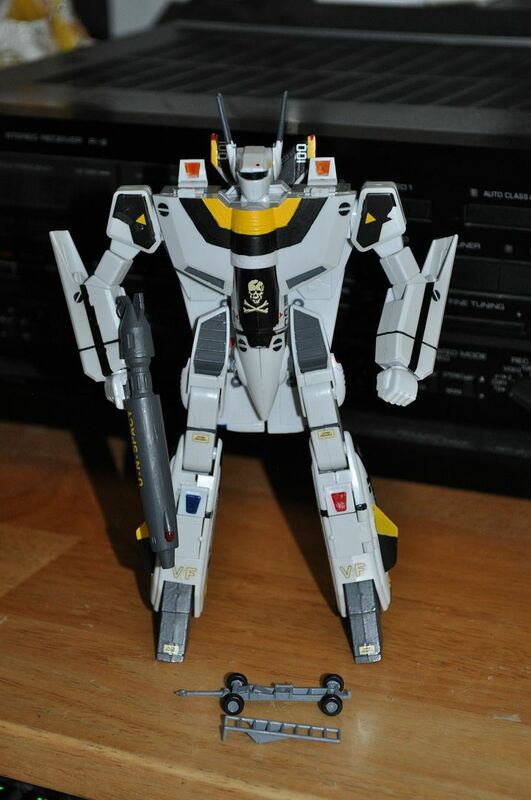 After realizing that Robotech was a butchering of three completely different series, I just could not stand watching something that disrespected artistic integrity. Anyway, moving on, I have been watching Knights of Sidonia on Netflix. Took me something like 3/4 of the first season to finally understand the plot better but now I’m hooked. i picked up this old BANDAI reissue of that far older IMAI/REVELL kit a couple years back, for the pure nostalgia of it. 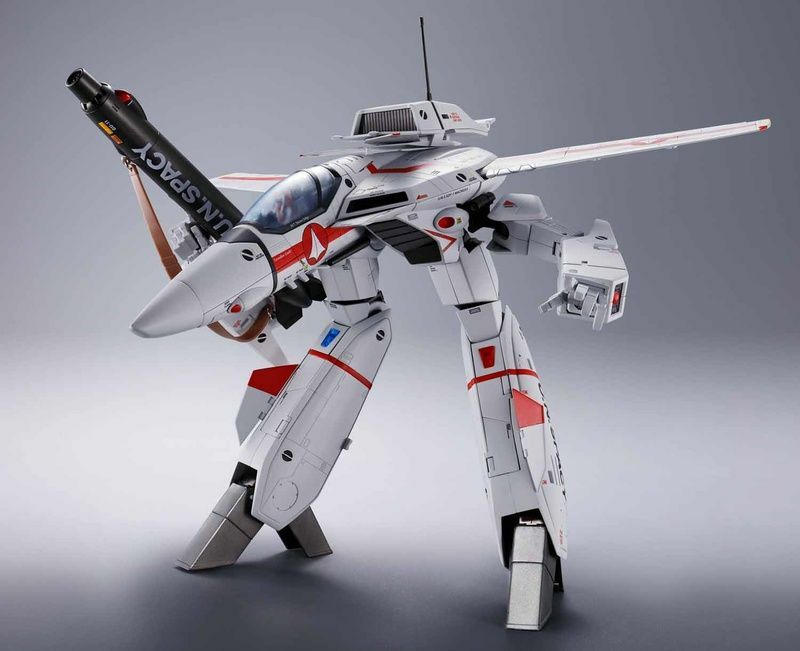 more to the moment, this new large, 1/48 scale BANDAI finished model-like transformable toy is due out in DEC. Putting three shows into one was the only way they could have sold those shows in the US at that time. I don’t hold the original concept in contemp. What HG has done in the subsequent decades is unforgivable though. 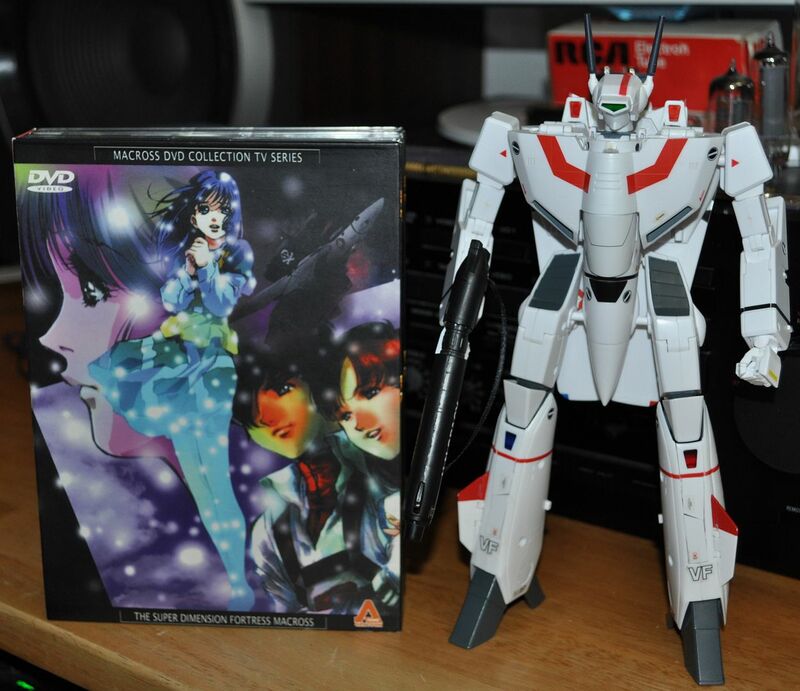 Macross is a favorite of mine and it's a shame we won't see more US releases. Putting three shows into one was the only way they could have sold those shows in the US at that time. I don’t hold the original concept in contemp. Yeah the "Macross saga" was remarkably faithful to the original. As I was rewatching Macross I often wondered if they REALLY left some parts in Robotech and low and behold about the only thing edited out is Minmay's a**. Macross really was an incredible show, imperfect and inconsistent in animation quality but superlative at times. Better than anything before or anything after. Great story, pacing and characters. Didn't talk down to the viewer but was still fun. I hope it doesn't get reanimated. 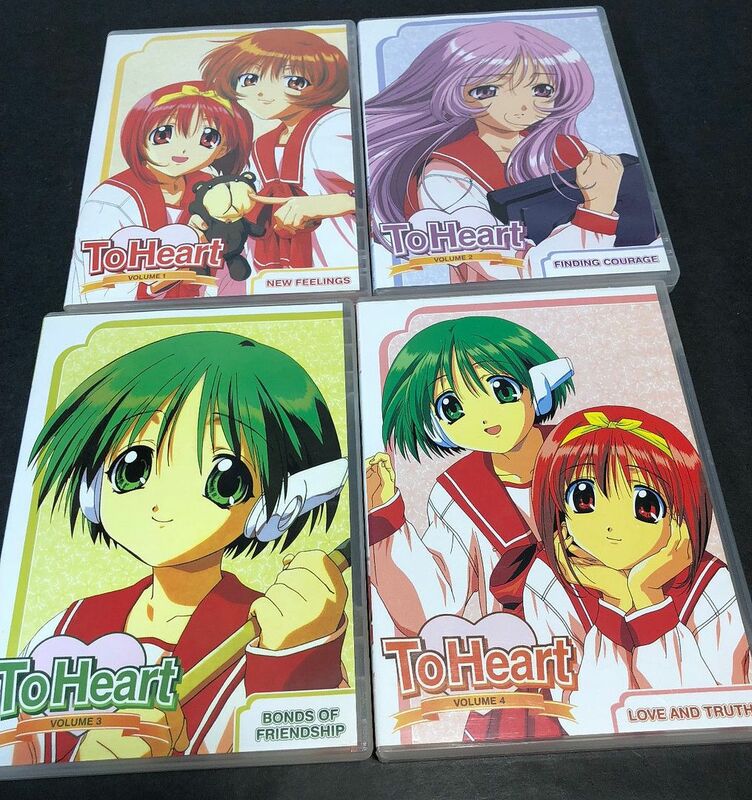 Tasuke, your HK bootleg set might do you well if you don't like Animeigo's recolouring as I tend not to. I finally got rid of my Animeigo dvds, kept the ADV dvds I have of it. Just didn't need to have two sets. Insane Sentai Sale Actual good stuff for 85-90% off retail... I went a bit nuts myself. What HG has done in the subsequent decades is unforgivable though. Exactly. Their legal strongarming over anybody that even remotely breaches their supposed "copyright" is what earns them all the hate they get. 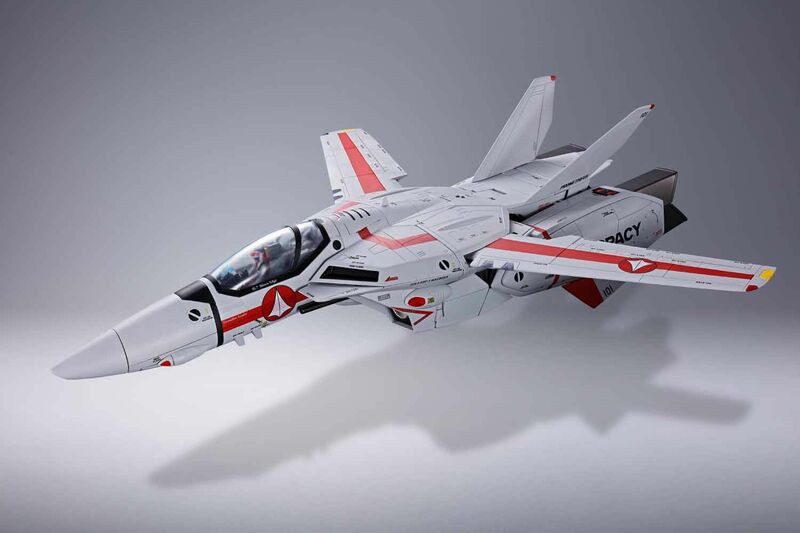 Although to be honest, another reason we're not getting a licensed version of Macross 7 has to do with equal amounts of greed on the behalf of the Japanese licensors, if the stories I've heard are true.